The new year is almost upon us! The change in calendars marks a good time to think about the clutter you've got around the house and your workspace. More inevitably will come in during 2017, so being able to manage, organize and filter out paperwork and other space-eating items might be the first test of the new year. 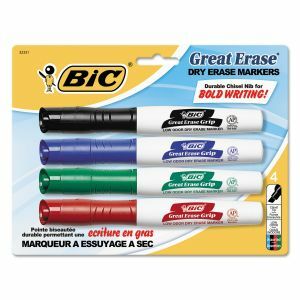 This organization page will help generate some ideas, with great deals on space-saving and item-identifying products you may need before settling into the new year. 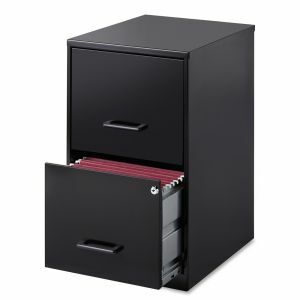 Every household needs a filing cabinet to store important records. If you don't have one yet, or need to upgrade, consider picking up one of our models. This will offer you space to file documents, either by year or by category, and have them easily accessible when you need them. If records need to be retained but don't need to be instantly available, stock up on Bankers Boxes to store folders and other important documents. 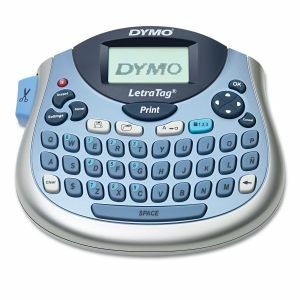 If tidying up for the new year leaves you with a bunch of boxes, consider a Dymo thermal label printer to identify everything. These printers are portable and easy to use with a keyboard and variable sizes and fonts available. Use it for boxes, cabinets, or any other place a personalized label will help keep you organized. Other organizational items on sale include shelving units, desktop reference systems, file sorters and more! The sale runs through the end of the year. As the holiday season reaches its culmination, life may be getting pretty hectic as you try to get work done with limited hours while also finishing holiday preparations with seemingly no free time. Balancing everything without losing your mind is a delicate job that needs to be approached as such. There are a number of steps to take that can help ensure that you manage of all of your end-of-year obligations at work and at home, while still being able to enjoy the holidays and the time they should afford. You probably already use some sort of calendar, whether it be a handsome bound organizer, a wall calendar, or the calendar app on your phone. All have advantages. 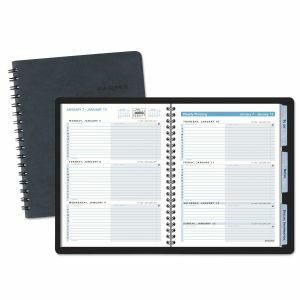 Paper calendars may be easier to compile from hand-written lists and reward you with the lovely satisfaction of crossing each task off upon completion. Apps put your schedule at your fingertips and can be synchronized with your email, or with your family or co-workers' calendars. No matter what you use, be comprehensive and include everything- not just your professional obligations. You may feel silly putting shopping or your family's traditional It's A Wonderful Life watch in the same planner as lunch with a client, but this way the time gets blocked out and you're showing commitment. They're both important. Another key to enjoying downtime with family is to cut back on things that sound fun but are more work than they're worth. Are there parties you only attend out of a sense of obligation? Are you offering to host a gathering that doesn't feel rewarding? 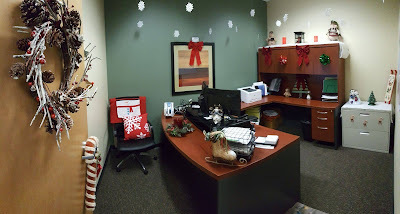 Is there a family/office tradition that nobody in the family/office actually enjoys? Try to cut them out of the schedule. Politely decline, suggest alternatives, and get as many unfestive festivities off the schedule. Any shortcuts, whether they be online shopping, potluck dinners or teleconferences, help save time as well. Once all that remains on your schedule is the truly enjoyable and the truly unavoidable, commit to whatever's on it at the moment. While you're at work, worry about getting your projects finished instead of the gifts you still need to buy. Ideally, you have time budgeted for them. The opposite is true too: don't spend family time trying to get ahead on your work. Relax and enjoy the peace you've afforded yourself. As demanding as the holidays can be, there's no better time to step away from work for a while and spend time recharging and being with those you love. That can only work if you believe in it. With only a week left until Christmas, you're going to be under the gun to get all of your holiday parcels to their destinations on time. Whether you're shipping packages to distant friends and loved ones or running a small business selling gifts or art online, you can't afford to be late. It's especially harder this year with December 24 falling on a Saturday. 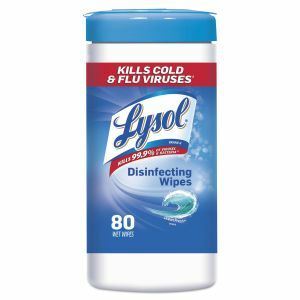 This is a bad time to run low on essential packaging supplies, but if you need to restock, we're here to help. For a limited time, check out our Holiday Shipping Center for great deals, up to 50% off, on packing and shipping essentials. 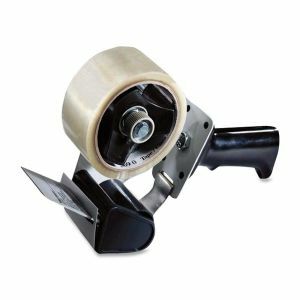 Stock up and save on important items like shipping boxes, packing tape, and Avery address labels. 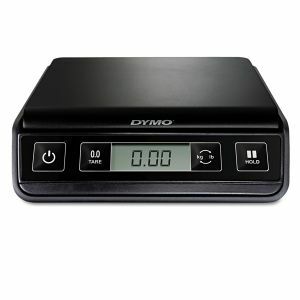 Dymo also has special holiday labels compatible with their label printers. Depending on what you're sending, you may also need mailing tubes or padded mailers to protect the goodies inside. Running a small business or have a lot of gifts or cards to send out? Consider saving some energy with a mailroom scale that will give clear digital readouts so you know how much postage you'll need. Or take advantage of our offers and stock up on bubble wrap, large format envelopes or stretch wrap. 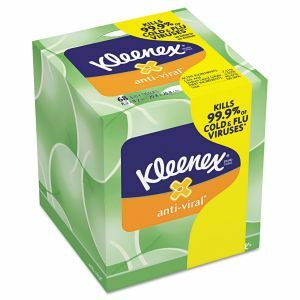 If you need these in a hurry, you're in luck! Most orders arrive in 1-2 business days, so there's just enough time to order your supplies and still get your gifts mailed before the holidays. There are only two weeks left until Christmas! If you're in need of a gift idea, our Holiday Shop has a number of suggestions that your recipient is sure to enjoy, with coupons and sales on several great products! Everybody relies on their smartphones these days, so how about an accessory they can use to be more productive? 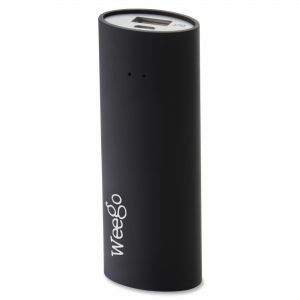 The Weego battery pack is small, light, and packs enough charge to keep a phone running for several more hours. Other phone accessories to consider are charging cables and adapters, screen protectors, and docking stations. If your recipient is more of a laptop person, think about an accessory like new bag or desk stand. From now through next week, order $75 worth of technology products or accessories and qualify for a coupon for $10 off! Another gift idea is a new line of travel mugs from Contigo. These mugs feature a leak-proof lid that prevents spills while on the go, and are vacuum insulated to keep beverages hot for five hours or cold for twelve! One more item to consider for a travel-minded friend or family member is a professional leather portfolio. Along with a ring binder, these zippered cases have pockets designed for a tablet, a pad of paper, pens, business cards, and other necessities. Offices everywhere are realizing the health benefits of standing desks, but they don't have to be restricted to the workplace. Any home office space can be a standing desk system easily with Kantek converters that are sturdy, easy to adjust, and minimizes the amount of desk space it uses. 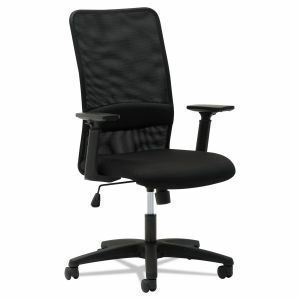 In addition, Safco has a line of seating designed to work with standing desks. 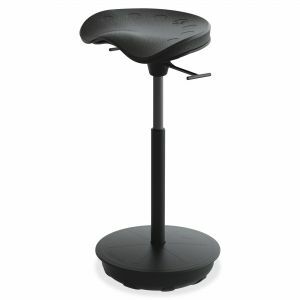 The Pivot seat keeps all the benefits to standing while relieving pressure on the spine and muscles. All of these and other goodies like fine writing pens and adult coloring books and accessories are available on our Holiday Page! What kind of workplace atmosphere do you have? Making sure employees are happy and productive might be the basic questions to ask, but creating a positive workplace goes beyond those. Some of the keys are fundamental- working equipment, good lighting, and dedicated space for taking breaks are easy things to undervalue when planning a work space, but can make a huge difference in employee morale and efficiency. Other things might be considered supplemental, but suggest that a company goes the extra mile to care for everybody in the family. At OfficeSupply.com, these nice extras make for a fun and friendly environment that cares for everybody who works here. 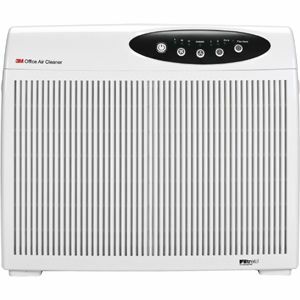 OfficeSupply.com is committed to employee health, offering many ways to stay healthy throughout the day. Anyone in the company is free to use our treadmill desk, which is set up to do work or take phone calls while keeping your feet moving. Those wishing to stay at their workstation can take advantage of a desk bike to get the blood pumping. Also, everyone is free to install a standing desk system, giving us another way to work on our feet and avoid the health problems caused by too much sitting. Our collaboration area invites employees to get together and discuss ideas. The couch and chairs are nice for informal meetings, the dry erase easel invites brainstorming, and the table is networked to allow multiple people to use the same computer. This allows projects to be introduced or worked on without occupying a meeting room. Throughout the month, we have a number of holiday events to bring us together. We invited everybody to decorate their office or workstation, with a prize for the winner (chosen by visitors to our Facebook page). Besides a fun contest, the end result is a more festive atmosphere throughout the entire office. Other events later this month will include an ugly sweater contest and a hot cocoa bar.